A few years ago I made the decision to go back to school. I was 39, divorced, and had 2 kids. That might sound crazy scary but it was one of the best decisions I ever made. Growing up in the 80’s I watched my dad work in Corporate America. He earned an MBA from the University of Chicago. His career in IT began when a computer monitor rivaled the size of a John Deere ride mower. I loved how he dropped me off at school every morning in his business suit and Ralph Lauren aftershave with coffee mug and newspaper in hand. I was intrigued by his business world and thought it would be cool to be like my dad one day (minus the RL aftershave of course 🙂 ). I listened as he discussed his business world, but noticed one thing: a lack of female executives. While I had visions of being in Corporate America I subconsciously fell into the mindset that it was a “Man’s World”. Dream derailed. Eventually I went on to have a career in the medical field and later as a stay-at-home mom. Regardless of the environment, I was perpetually driven to the business acumen of whatever I was involved in. 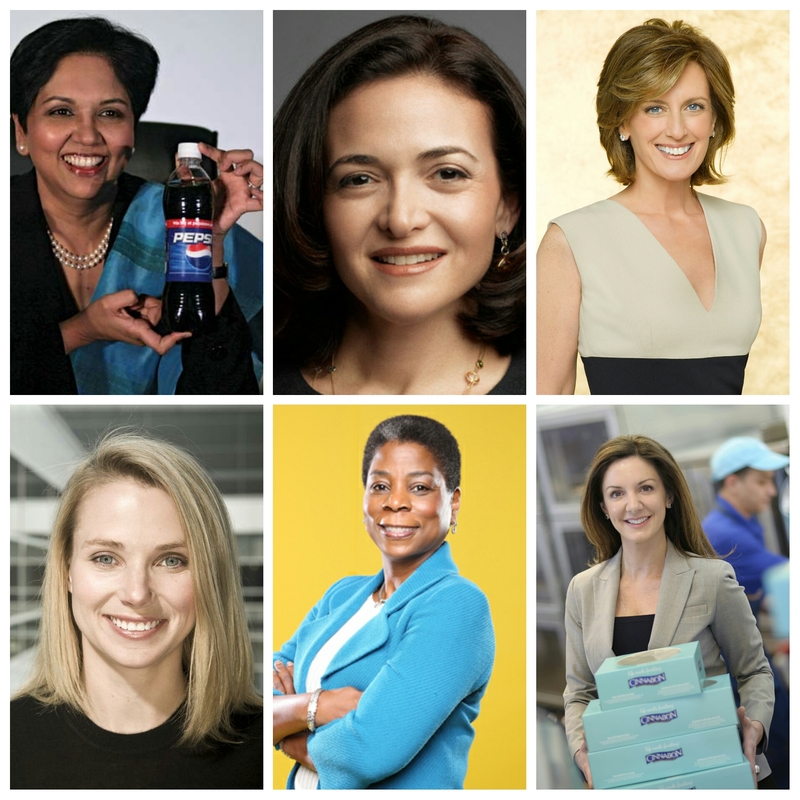 Twenty five years after tanking the idea of a corporate career due to lack of a female presence, women like Indra Nooyi, Sheryl Sandberg, Anne Sweeney, Marissa Mayer, Ursula Burns, and Kat Cole were rocking the world. On a cool California Christmas night I began looking at MBA programs. 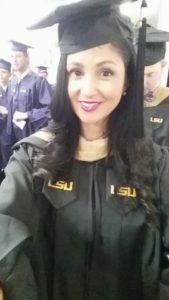 I saw that my beloved LSU was starting an online MBA program. 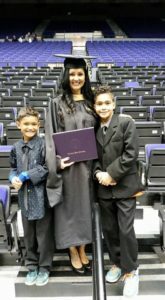 Online education was a foreign concept to me, but it seemed like a good way to balance my family and school. Being an impulsive Aries, I jumped onboard and never looked back (although I did wonder what I had gotten myself into quite a few times). Fast forward a couple of years and I DID IT! 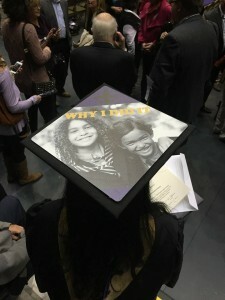 Endless all-nighters, navigated homework together with my kids, conquered online textbooks, turned down trips/relationships/GNOs, cried to my family for encouragement, and friends helped babysit so I could study for exams…all so I could make it through a grueling MBA program. As my degree rests prominently in my living room, these small hardships are merely fleeting memories. 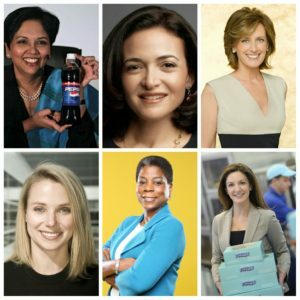 I now hold an MBA in a world where over 9.4 million firms are owned by women, employing nearly 7.9 million people, and generating $1.5 trillion in sales. When I graduated, LSU ranked 9th in the country among business schools for the most female MBA students (52.9%). 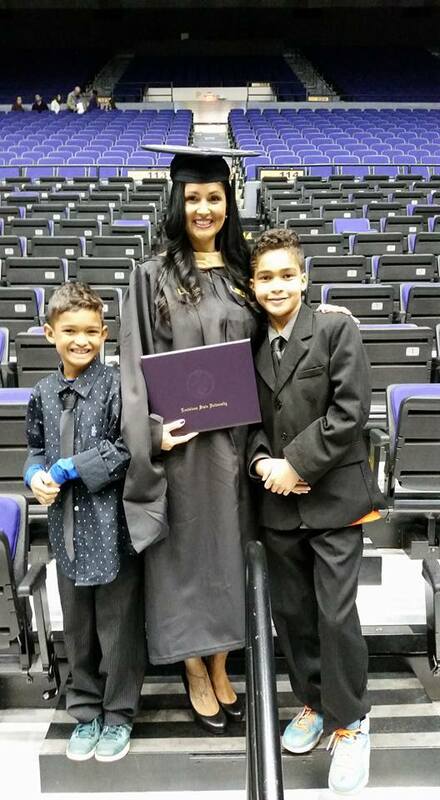 The business world has evolved from my childhood days of it being dominated as a “Man’s World.” Maybe my sons will grow up with professional aspirations to work in business like Mom. And if I’m lucky I can inspire a young girl or two along the way. I don’t believe this.You look like your in undergrad. What was the hardest thing about being in school? I have wanted to get back for many years. Its expensive and I don’t have time. Hardest part was time management. Getting school stuff done during the week so I could devote weekends to my kids. I’m going through the same program at LSU as we speak, and it’s an encouragement to see your grad pics! Congrats on your accomplishment and I wish you well!